Out with the old and in with the new! I'm having a sale to celebrate the end of 2014 and the beginning of 2015. 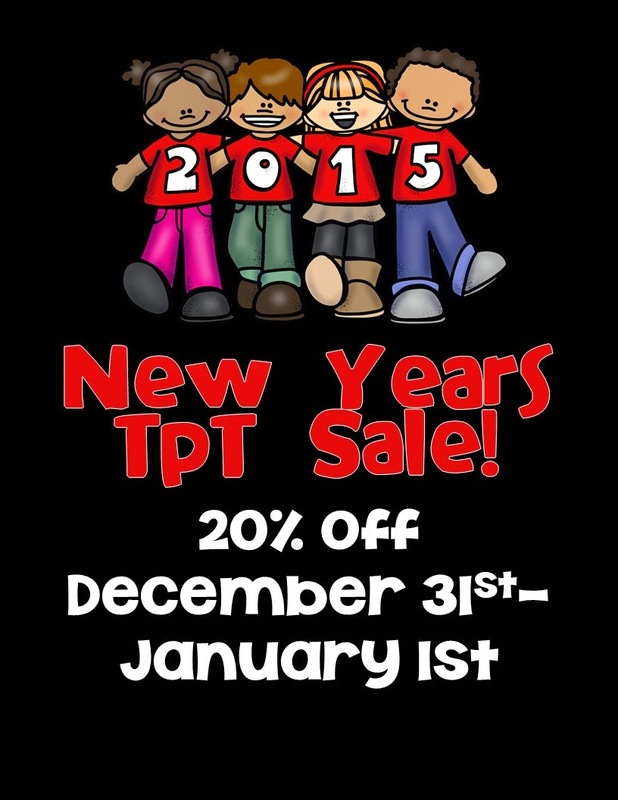 Everything in my TpT store is 20% from December 31st through January 1st. Here's a great opportunity to save on some winter and January products! Just click on the image above to check out my sale! Whether you just browse or buy I want to say "Thank you" to all of you who have followed me through 2014. Wishing all of my viewers and followers a very Happy and Healthy New Year. I appreciate each and everyone of you.Thanks for all you do to make a difference for your students. Here's to a great 2015!